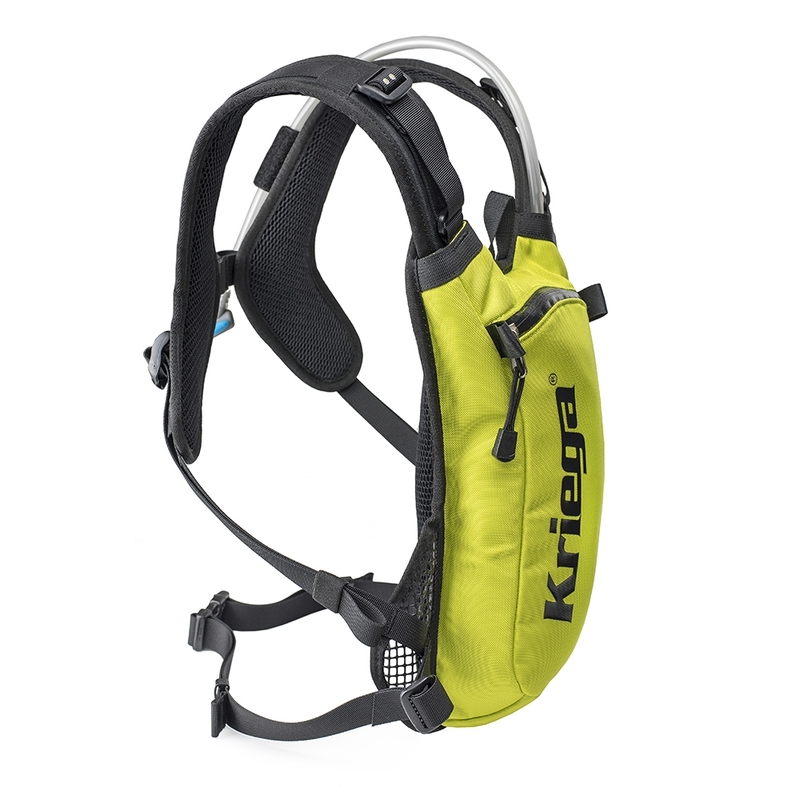 A lightweight race hydration pack including 2 litre Hydrapak Shape Shift™ reservoir. 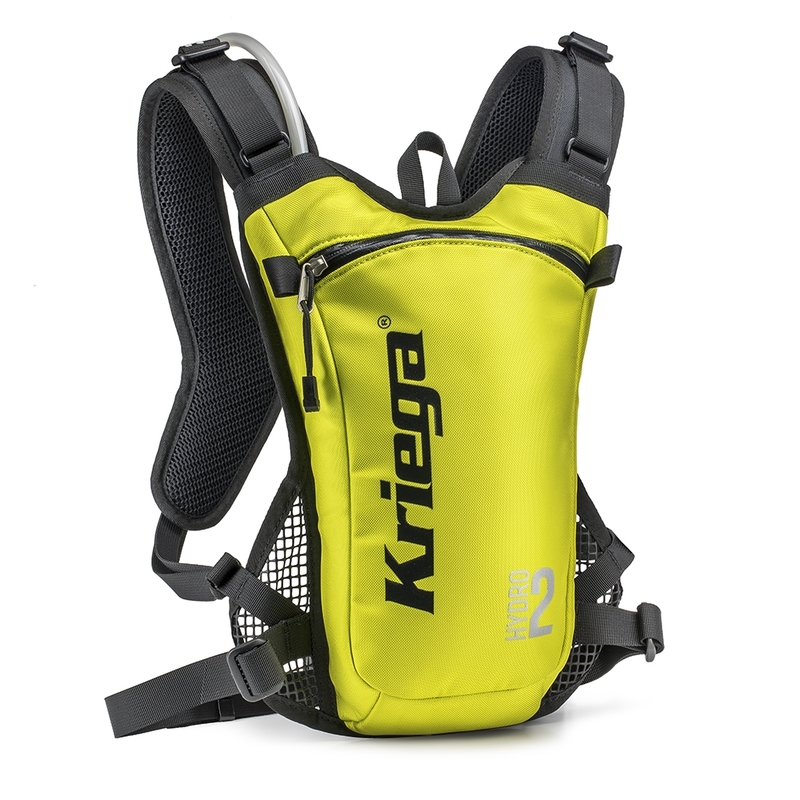 The Hydro-2 fuses the well proven Kriega Quadloc-lite™ Harness with 420D Lite Plus CORDURA® fabric to give an exceptional strength-to-weight ratio pack, which is both stylish and incredibly durable. Ergonomically designed specifically for motorcycle riding, to allow unrestricted arm movement. Easy to get on and off even while wearing gloves & body armour. Back length adjustable to suit the rider and once set giving perfect fit and pack stability at all times. 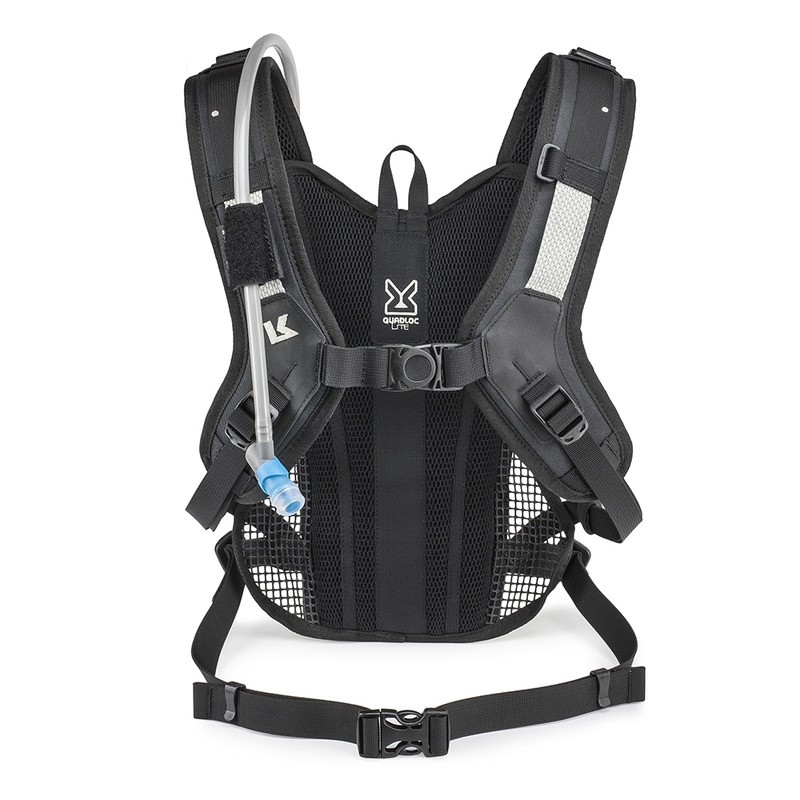 Best of all, the weight is transferred away from the shoulders to the chest and body, giving all-day comfort. Slide-Seal™ top opens wide for easy filling and closes tight for a leakproof seal. 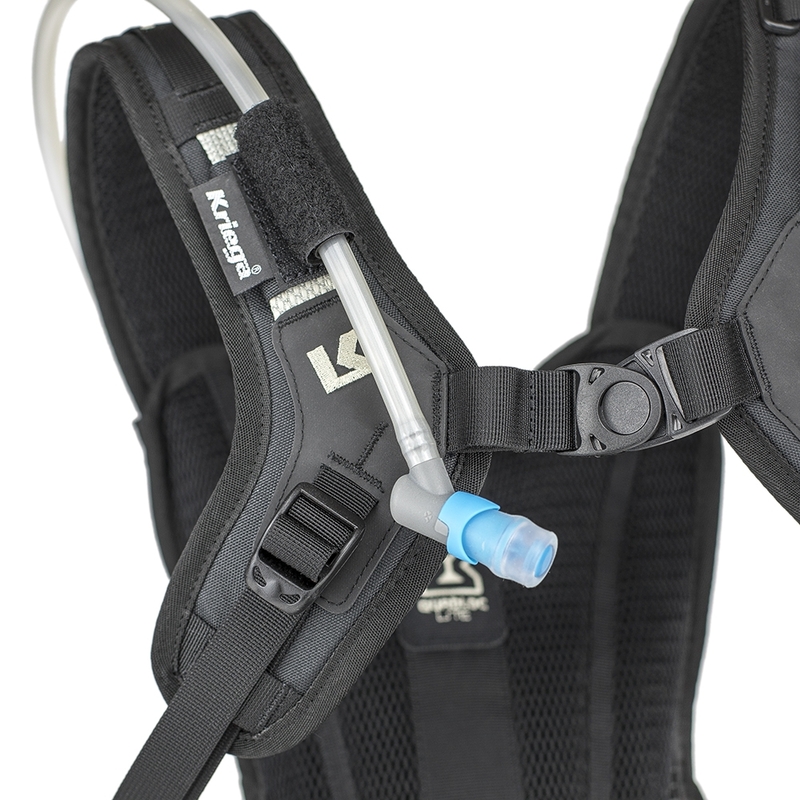 High-flow Blaster™ bite valve self seals after each sip and features a twist on/off bar to prevent leaks when not in use. 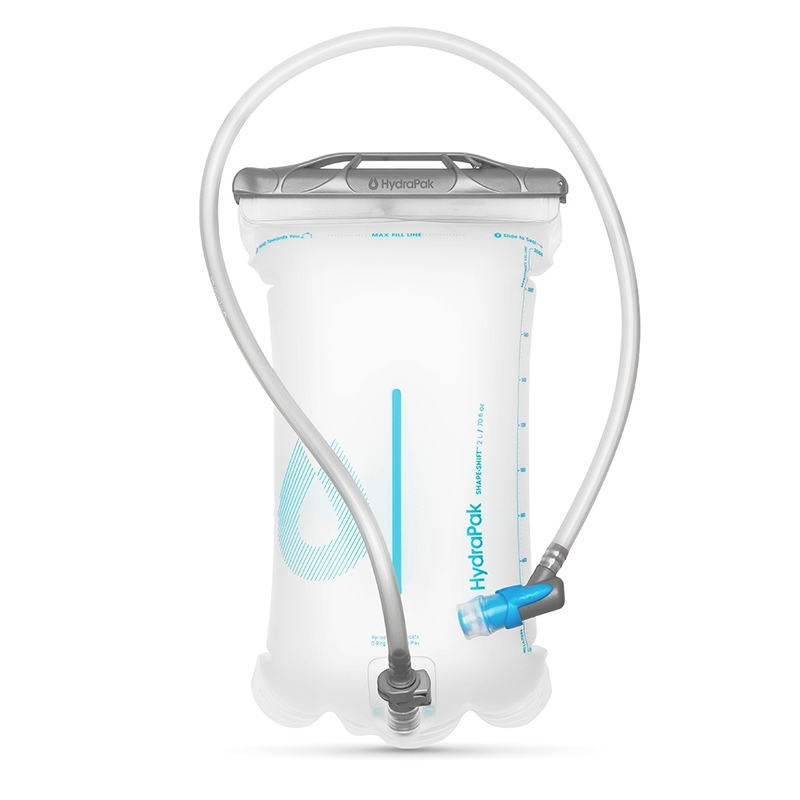 Plug-N-Play™ connect system lets you easily disconnect the drink tube (an auto shut off valve prevents leaking) and remove the reservoir from your pack for convenient refilling.